My name is Jazmin. I am a clinical social worker licensed in Michigan and Indiana with 6 years of experience working as a therapist. Let's face it, sometimes life gets messy. When we're faced with big decisions, difficult emotions, and rapid changes in our lives, it's hard to stay hopeful and even harder to remain objective about ourselves and our future. We ALL experience feelings like these from time to time. If you're feeling overwhelmed, stuck, or just plain down, you don't have to face these emotions alone. Let's talk. I'm a listener. I'm a supporter. I'm a coach. During our online meetings, we will work together to create a plan to help resolve challenges and identify unhelpful patterns of thinking and interacting that may be holding you back from enjoying life. Selecting a therapist to work with can be a challenge. I know how important it is to make sure that you have a good fit. After all, you'll be sharing details of your thoughts and experiences, so you want to make sure that you mesh well together and that your styles support each other. Given all of that, let me tell you a little bit about my approach. I do more listening than talking. As a therapist, I want to create a space where you can explore your own thoughts and seek and receive feedback to help you make decisions. Sometimes that feedback is direct, other times, it's in the form of a tailored question, in order to nudge you to explore what works best for you. I am available for live chat, phone, and video sessions. I prefer to schedule a weekly live chat time and then chat on the platform, as needed, during the week. This structure helps us to stay connected and focused on your goals. If you are looking for someone to support and challenge you, someone to walk with you as you journey to find ways to be happy and secure, someone to cheer you on when you're moving toward goals, and to call you out when you're not, then we might be a good fit. If this approach is not what you're looking for, I totally understand and I encourage you check in with other therapists. Either way, I wish for you to have peace and wellness. Jazmin does a great job paying attention to the details and is very good at asking questions to clarify what she needs to know. She is also very considerate about getting me to think about my problems from a detached perspective so I can address things myself in an objective manner. Jazmin is a great listener. She understands the problem, even when I can't express myself very well. She gives me advice to solve the issues that I'm having and she has always made me feel like she's there when I need to talk. All I can say is that in within the first 2 weeks, she's helped me a lot and given be another viewpoint/way of thinking on my issues. It's helped me get myself back on track more often. Very understanding and respectful. She’s insightful and direct, and I feel safe confiding in her. Would you like to write a review for Jazmin Davis ? 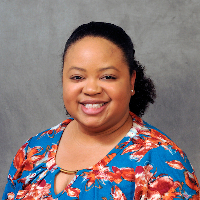 We'd appreciate if you can spend a couple of minutes to write a short review for Jazmin Davis (LCSW, LMSW). This review would be shared with Jazmin Davis . It may also be posted in our website or in Jazmin Davis 's profile but it would be anonymous and your identity would be kept completely confidential.